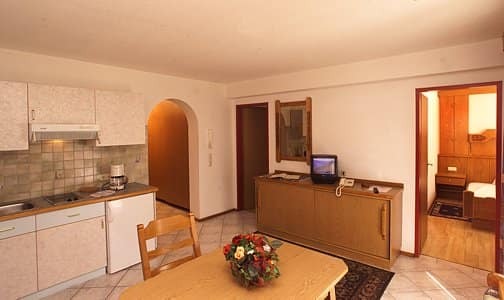 These apartments are a perfectly located self catering option, just on the edge of the town, just far enough to be away from the bustling town and yet a short stroll takes you right into the heart of the action. The four star apartments have been tastefully decorated and offer a great standard of accommodation for groups or families. Guests will be welcomed by the Reitzer family and can be assured of great service throughout their stay. 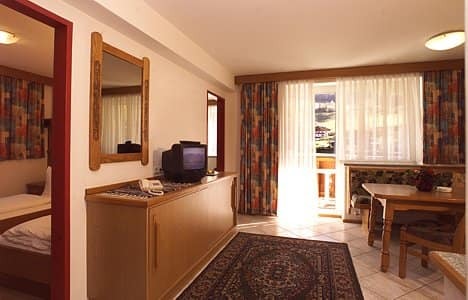 After a day packed full of activity and fun on the slopes, guests will have the option to enjoy the facilities of the Hotel Toni next door, at an extra cost, which include a restaurant, indoor pool and spa area. 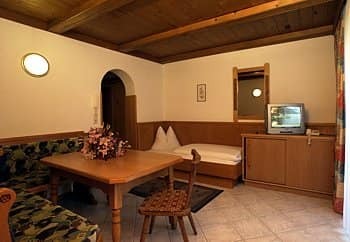 The hotel is located 10 minutes walk from the centre of Kaprun where there are beautiful and quaint rustic pubs or more lively bars if you want something more energetic. If you you want to venture out even more and experience some real aprés ski, you can take a quick 10 minute bus ride to Zell am See, where there are more vibrant and lively bars and nightclubs. Kaprun is a jaw droppingly beautiful area which offers a wealth of vast and varied pistes to suit everyone. It is also a popular destination with boarders as it has a variety of snow parks and halfpipes to choose from. • A local tourist charge of approx. EUR1.15 per person per day is payable locally.